Vital to every association is a competitive and flexible approach to human resources which touches on every function related to our activities from staff recruitment, training and development to policies, regulations and benefits. Today’s challenging labor market finds associations competing for top talent amidst low unemployment and one of the most diverse labor pools in history. Join AzSAE in exploring 2019’s new laws and regulations and the changing landscape of employee benefits driven by new generations including Millennials and Gen Z.
Christian Anderson, PLC is a boutique law firm offering knowledgeable legal counsel regarding business, employment, advertising, estate planning and probate law. Wendy Anderson supports individuals in anticipating and overcoming legal issues in their personal and business lives. As outside legal counsel to businesses, she prepares business documentation that will address her clients’ specific concerns in easy to understand language. Wendy strives to understand her clients’ businesses so that they can feel secure knowing that their legal advisor cares and is only a phone call away when a question or concern arises. Wendy has over 20 years’ experience as a marketing and advertising executive at both public and private corporations, bringing broad understanding and knowledge as a business counselor to her law practice. Her business strengths include strategic planning, budget management and skillful negotiation for agreements of all types. Clients have an added advantage because the firm provides two different perspectives - legal and business - to every situation. Wendy also works with families regarding simple estate planning strategies and prepares wills, powers of attorney, and living wills. She represents individuals who are heirs or those who seek to be named as personal representative as they proceed through the probate process following the death of a loved one. An HR consultant and leadership coach, Wendy McClellan is the founder and CEO of Structure for Success, a Scottsdale-based business development firm. With more than 25 years’ experience in executive leadership, Wendy’s forte is building businesses from the ground up and training leaders to be effective, ethical, and accountable. She believes strong relationships and effective communication are the keys to success, and regularly speaks on communication, personal empowerment, Human Resources, and business development. Everything she does is centered on caring about her clients and her community. She has worked as the director of the Scottsdale chapter of the networking group Women on a Mission to Earn Commission (WOAMTEC), and was on the board for the Girls Rule Foundation. She has also served as the Treasurer and the Vice President for the Women’s Enterprise Foundation (WEF), and as the Secretary for the National Association of Women Business Owners (NAWBO). She worked closely with the WOWOB (Women Owned Women Operated Business) movement, and is an instructor at ASU’s Lodestar Center. Stephanie keynotes and facilitates workshops on Cultures of Learning, Strategic Thinking and Collaborative Accountability. She is a Mastermind group leader for business owners ranging from marketers to designers, financial planners, and recruiting firms. She cultivates Traction not Transaction™ and helps entrepreneurs grow and build their businesses, increase sales, revenue and market share. Stephanie is innovative and creates teams that make more money, blow away the competition and have better businesses as a result. Having started her Human Resources career at the DoubleTree Hotel, Stephanie has been a management expert for over 30 years and is experienced in dealing with people and their challenges including individuals who are dealing with crisis. She's experienced in managing group dynamics, individual coaching and is skilled in diffusing emotional conflict and looking for consensus. She knows a lot about goal achievement and takes that skill to her Masterminds. In 2014 she co-created the first-ever board game to address domestic violence – OUTrage™ – A Game to Recognize and Change Abusive Behavior. Stephanie co-wrote the true crime memoir Serrated. She has won several awards for her work. 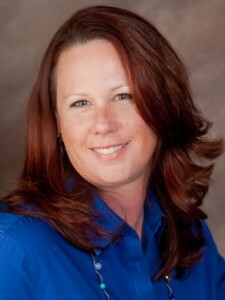 Stephanie is a professional member of National Speakers Association and on the Board of NSA-AZ. She is also a member of Society for Human Resource Management. Stephanie was named a Finalist in the Best Entrepreneur – Service Businesses – Up to 100 Employees category for the 2011 Stevie Awards for Women in Business. She has dual US and EU citizenships and is able to travel and work world-wide.